Pasadena is on the rise as a technology market and Cross Campus' arrival is a huge step in the right direction. Pasadena is already home to awesome companies like OpenX, RateSpecial, Spokeo, and Metacloud [disclosure: I work with them all so I'm biased :) ]. Furthermore, the ability to pull talent from places like CalTech and JPL as well as the ability to provide a nice living environment with growing amenity scene, we're seeing more and more companies consider this move. CrossCampus will provide a proven name from Santa Monica and a place for young startups to begin their journey in the right creative, supportive environment. Santa Monica collaborative work space Cross Campus, which caters to tech entrepreneurs, will open a second, larger location in Old Pasadena. The 16,000-square-foot Pasadena space, 2,500 square feet larger than its flagship location, will be housed in a three-building complex on Raymond Avenue near the Memorial Park Gold Line station. Rising Realty Partners in Los Angeles bought the building in November and refurbished it with bells and whistles such as high-speed fiber-optic Wi-Fi connectivity in the hopes of luring tech startups. 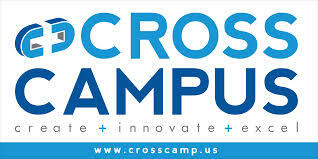 Cross Campus sells monthly memberships ranging in price from $150 to $600. The company also offers support such as access to legal professionals and financial advisors, in addition to office hours with leading tech entrepreneurs, investors and industry experts. It houses several hundred member companies and has hosted Silicon Beach Fest for the past three years. Founder and Chief Executive Ronen Olshansky said institutions such as Caltech, NASA’s Jet Propulsion Lab and Art Center College of Design made Pasadena an ideal location to expand. “Pasadena has the raw materials to grow and we’re excited to help catalyze this growth,” he said in a statement. The branch is expected to open in the fall.